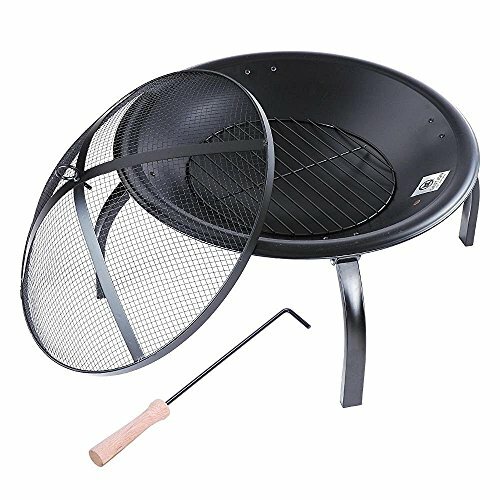 This Portable 22" Fire Pit & Outdoor BBQ Grill with 4 foldable legs can be used with wood and charcoal, comes with a removable grill, a spark guard and handle hook for safety. It features a removable grate for easy cleaning and a durable, high-temperature heat-resistant finish. Ideal for barbecues, parties or any outdoor use. Even for providing warmth in the garden or backyard. View More In Fire Pits.